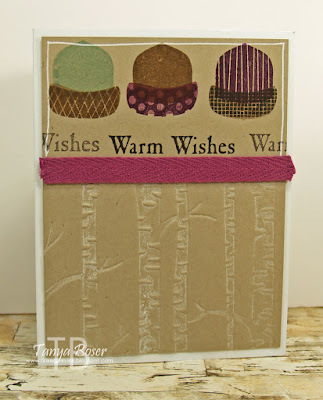 Welcome to another Stampin' Addicts Blog Hop! Stampin' Addicts is a great place to socialize with other stampers, and I have met a great group of ladies who I get to hop with several times a year. Come join us for some conversation! 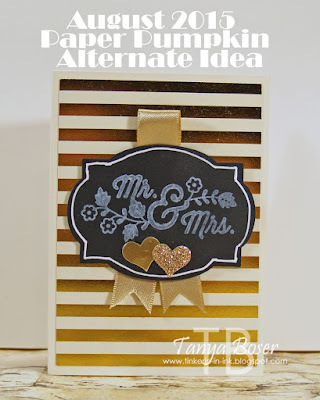 We are all so excited about this Holiday Mini, there is so much goodness in it, you are sure to find lots of stamps, dies, and accessories that you just have to have. I know, because I already did :) And it is going to take all 4 months that the Holiday Mini is live for me to get it all too, lol! I really thought the acorns minus the stems look like stocking caps, so I tried out that theory. What do you think? Still acorny? I used a few more of the goodies from the Holiday Mini, how could I resist! 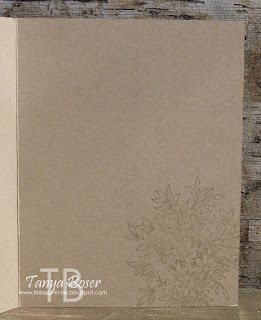 For the trees, I used a sponge dauber to tap white ink on the trees on the embossing folder. And then there is this cool Self Closing Box that has been making the rounds on Pinterest and blogs everywhere! Love this little box! There are several videos out there to create this box. If enough people are interested, I may make a video myself :) We did make these at my August Papercrafting class, and everybody loved them! A gift card with some goodies is an idea I am going to use a lot for Christmas. 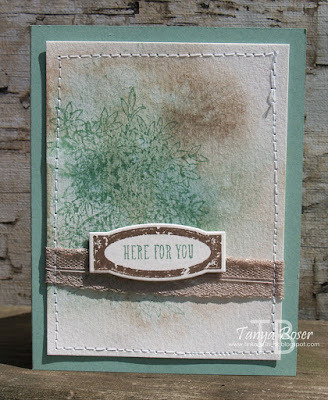 Now it is time to go see what Kathleen Brill-Myrice has created with the Sweet Hauntings stamp set! Here is a video of my alternate card idea for this set. 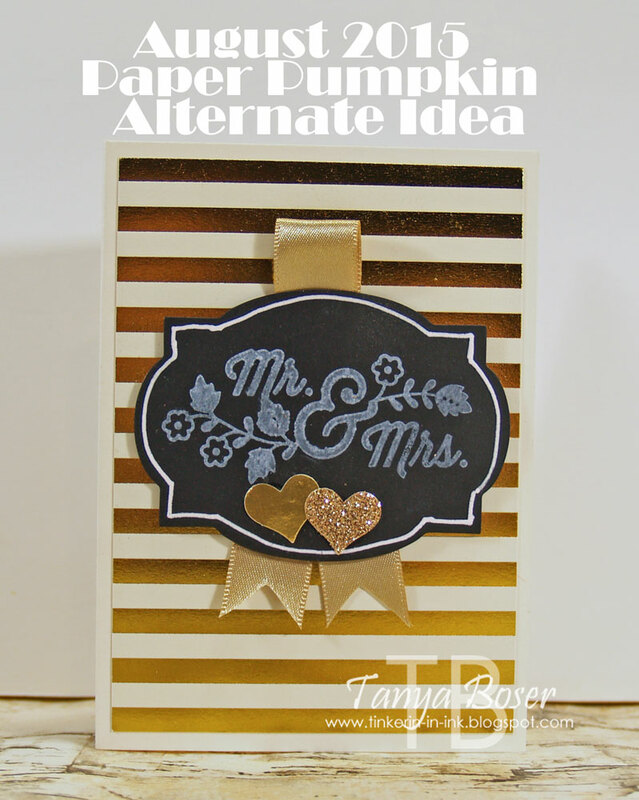 I needed some wedding/anniversary cards, and the luscious gold foil stripes were just begging to be used for that! I cut each of the card bases in the kit in half, then cut the striped paper down to 3-1/4" x 4-5/8" to fit on a 3-1/2" x 4-7/8" cardbase. 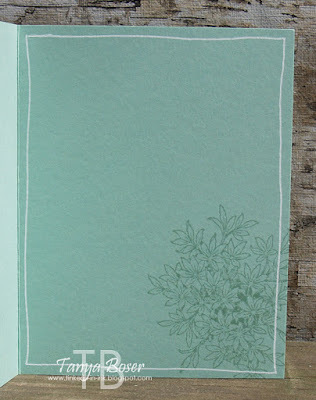 I found that with the extra layers I put on this card, it fit better in the envelopes from the kit. Watch the video for the full instructions, and the list of supplies is at the end of this post. I hope you enjoy the video, please click "like", and share it everywhere! Wow, is August really half over?! I feel like I have just gotten settled into summer and it will be over in just a few short weeks! But, I am happy that it is time for another edition of the Stamp Review Crew :) This hop features Awesomely Artistic which is another of those little black dress kinds of sets, like Gorgeous Grunge. You can do some much with this set, and accent other sets so well with it. If you are hopping along in order, then you just arrived from Mike Funke's wonderful blog! My first card was actually one of my swaps for convention. Not a last minute project for the hop, but it was definitely a multi-tasking project, lol! 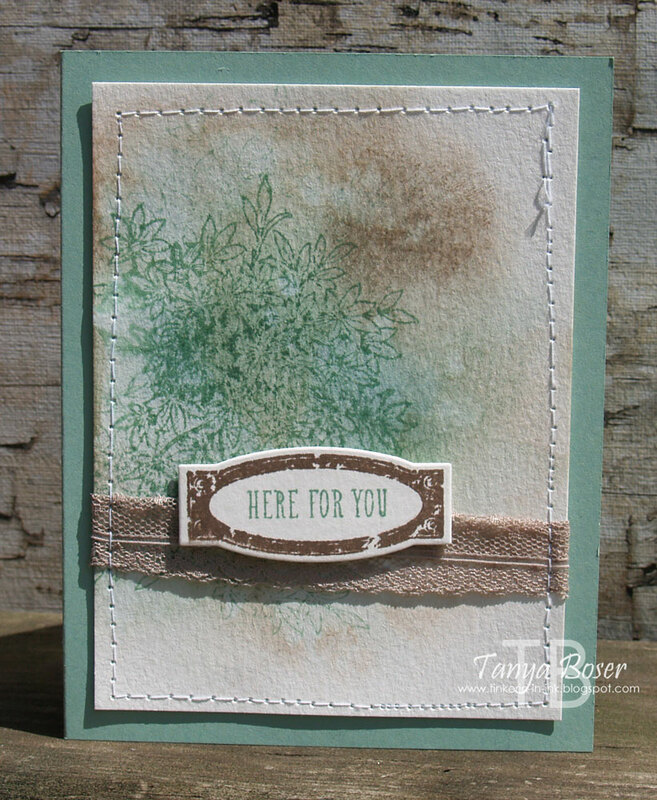 This is meant to be a sympathy card, and it has some watercolor techniques going on. I started out with a 3¾" x 5" piece of watercolor paper, sponged Sahara Sand and Tip Top Taupe in a roughly triangular blob with the flat, wide end on the left and the point of the right- if that makes sense, lol. Then I spatter water onto the paper with a large wet watercolor paintbrush. Let the water sit for a few seconds, then absorb with a clean, dry clothe. Repeat as needed to get the look you want. I created a mask for the foliage stamp so I could stamp once, then mask that image, and stamp two more times, without re-inking, above and below the masked image. There are a whole bunch of tiny pearls on the foliage too. Ann Schach must be rubbing off on me, and who wouldn't love that?! 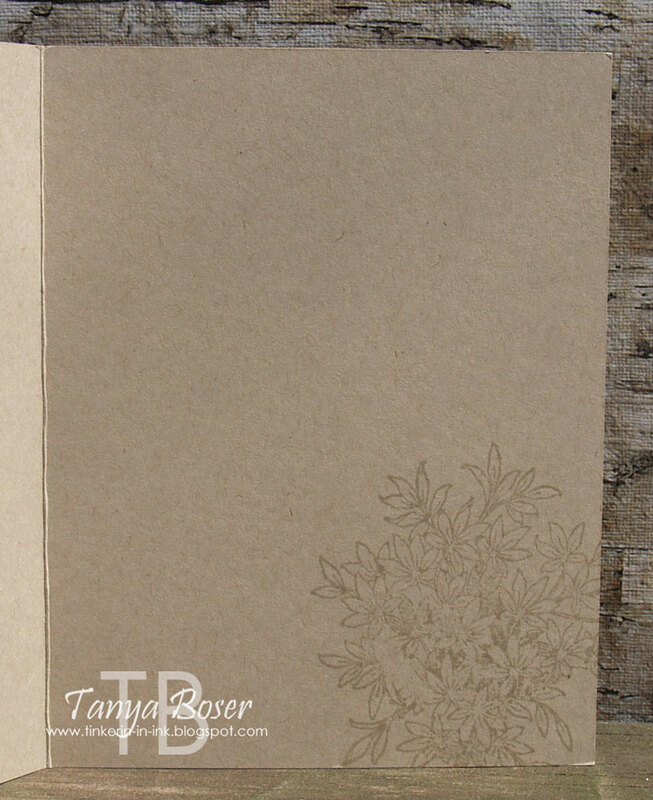 Inside was stamped with the foliage image again, in Sahara Sand on the Crumb Cake cardstock. This was my first attempt at the swap card, but it just did not feel right for the picture in me head. I like it though. The ribbon is the Tip Top Taupe lace trim folded over and a piece of 1/8: Gold ribbon. There is sponging and water spattering on this one too, but it is less dramatic, and there is no masking of the foliage. Inside is stamped with Mint Macaron on Mint Macaron paper. That's all I did for this hop, hope it was inspiring! 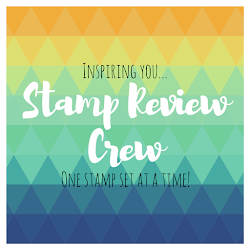 It is Stamp Review Crew time again and the excitement of Stampin' Up! Convention has past. We still have about a month before the new Holiday Mini starts. Sounds like the perfect time to be reveling in the wonderful stamps still available in the Annual Catalog! This time we are featuring a stamp set that should be a staple in everyone's stash. 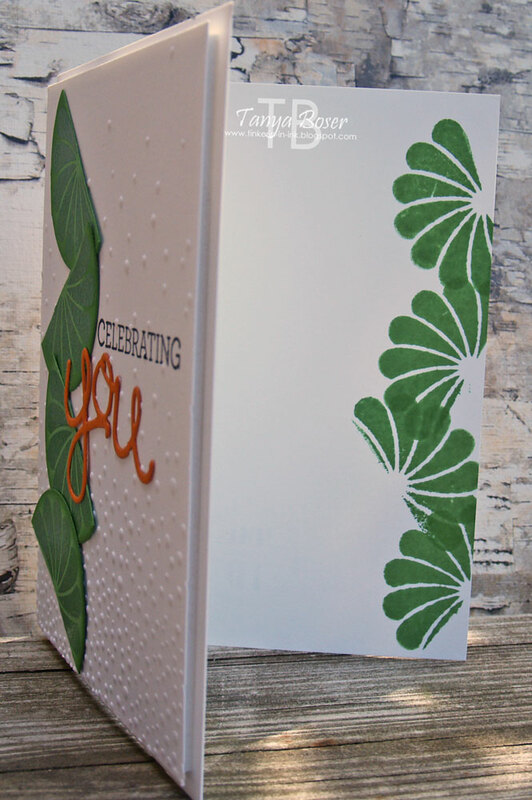 It has something for EVERY occasion you could think of, and lots of coordinating dies and punches :) I am talking about Crazy About You of course! 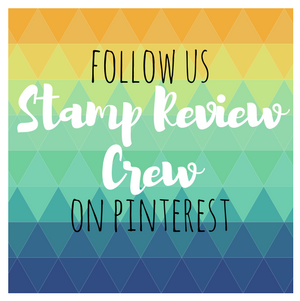 If this is your first time hopping with us, then I should tell you that we are an international group of Stampin' Up! demonstrators that gets together every first and third Monday of the month to feature a single stamp set. We share lots of ideas for that set to get you excited and inspired :) You can check out the master blog roll on our home blog, and find all of our past hops, and all of the links will take you directly to the posts you are looking for! 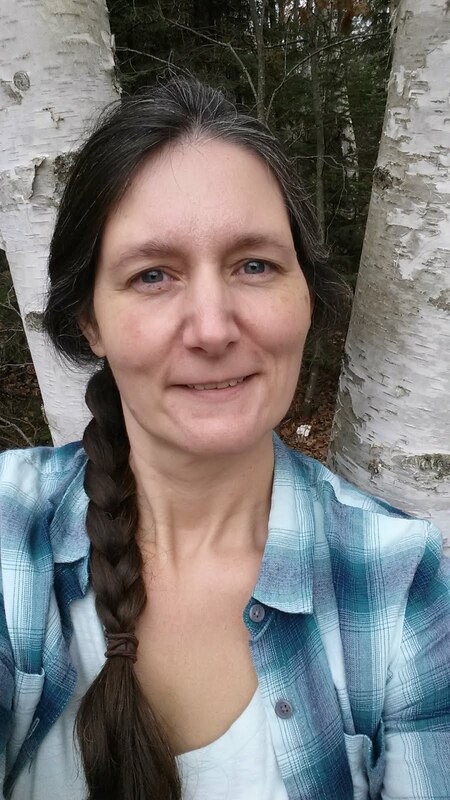 If you are following along in order, then you just arrived from the fabulous Lisa Young's blog! For my project this time, all I could think about was citrus fruit, limes in particular! I love a slice of lime in lemon-lime sodas, diet coke, and of course, in a margarita! And at the Brazilian grill, Tucanos, in Salt Lake City, they serve a delicious Lime lemonade that I adore. 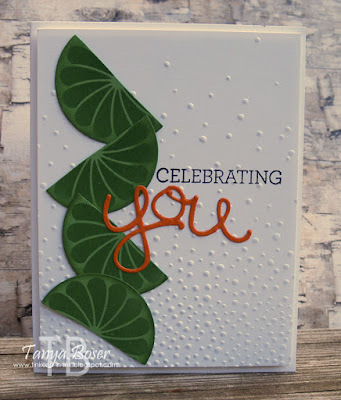 So I had to make a lime card :) The embossing folder is a sneak peek at one of the new goodies from the Holiday Mini, which you are going to LOVE! In this card, it has that effervescent feel of a cool, refreshing, carbonated beverage. I embossed the round flower image in clear embossing powder on Cucumber Crush cardstock, then cut them out with the 1-7/8" circle die. You could use the 1¾" or 2" circle punches just as well, they all fit nicely. Then I used a sponge dauber to ink the edges with some Cucumber Crush ink for the rind. I cut the circles in half with a scissors. This was a blessedly fast card! LOVE fast and cute, don't you? Inside I inked just half of the stamp in Cucumber Crush and stamped a few slices along the right edge. What do you think? Is it making you thirsty, lol? 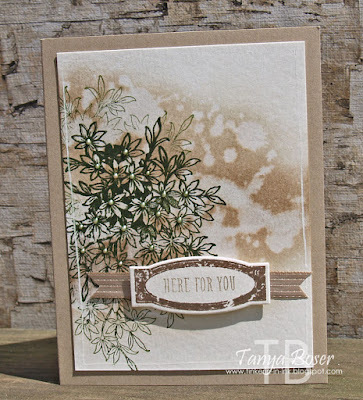 Next up is Deb Currier, and I am sure that she will amaze you with her clean and gorgeous creation!